John Muir’s quote from more than a hundred years ago seems prescient in our present time of constant ‘connectivity’ and societal pressure to respond ever faster 24/7 to every text, tweet and a dozen other lines of instant communication – or maybe he was describing teachers at the end of another school year after exhausting every bit of mental, physical and emotional energy on students, parents, inter-staff relationships and training upon training for a slew of new standards across all subject areas. It would be interesting to see how teachers are mentally completing the currently in vogue sentence starter ‘I wonder…’ after being asked to complete it for the umpteenth time at the end of a long year, but it may not be fit to print! Yet, it is a sense of wonder that lies at the core of a teacher’s creativity and is often in much need of rekindling at the end of a school year and visiting National Parks can restore fuel to that creative fire. Let’s ‘Discover the Waters of Our National Parks’ (p: 493) in California and how they can help regenerate the well of curiosity, while inspiring some great ideas for connecting Project WET activities! Water boils below the landscape of Lassen Volcanic National Park, an active volcanic area that roared back to life 100 years ago. 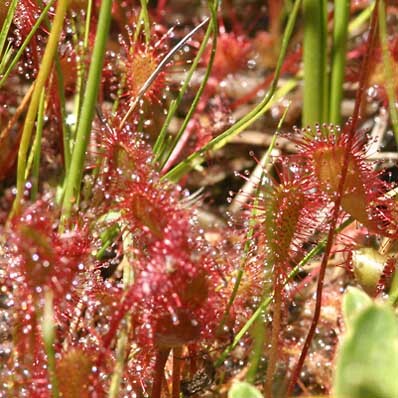 Visitors can closely observe the evidence of volcanic activity by wandering through the hissing clouds of steam generated by the Sulphur Works, being mesmerized by the bubbling mud pots of Bumpass Hell or hiking in to experience the inappropriately named fumarole known as Terminal Geyser – after exploring the carnivorous sundew plants on the half bog covered Willow Lake. Yellowstone may have the greatest concentration of geysers in the world and Lassen none, but our California park provides one with a far more intimate experience with the same volcanic plumbing without the crowds – an experience that provides one with lots of material and ideas to use with the Project WET activities ‘Geyser Guts’ (Guide 1.0) – and ‘Life in a Bog’ (Guide 1.0) for the intrepid souls who find their way to Willow Lake. 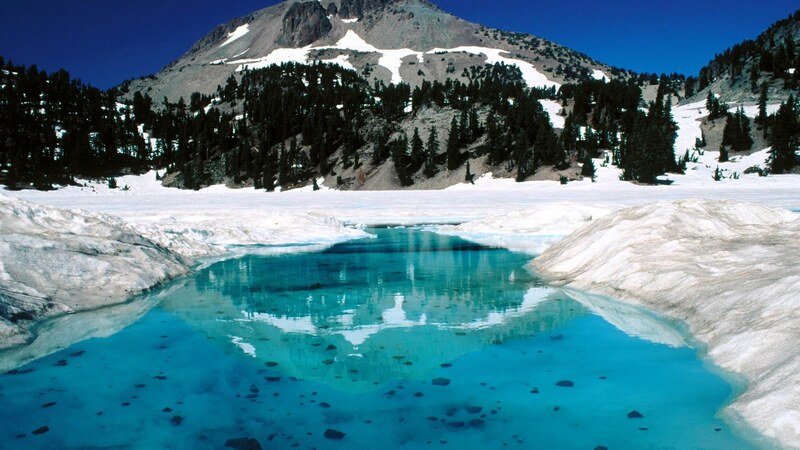 Lassen is also a wonderful place to contemplate states of matter and use image examples from an area like Lassen in activities like ‘Water Match’ (Guide 1.0), ‘The Incredible Journey’ (p: 155) or ‘Water Inspirations’ (p: 535). It is not unusual to find snow still on the side of the road and ice-encrusted lakes near Lassen Peak in July after visiting the steaming mists of the Sulphur Works or picnicking near one of the lakes or steams along the park road. Lassen also has massive, 600 plus year old Jeffery pine trees one can observe near the north entrance at Manzanita Lake, but they and trees of similar size seem like pip-squeaks compared to the name sake trees of Redwoods and Sequoia-Kings Canyon National Parks – One the tallest, the other the most massive organism currently existing on Earth. 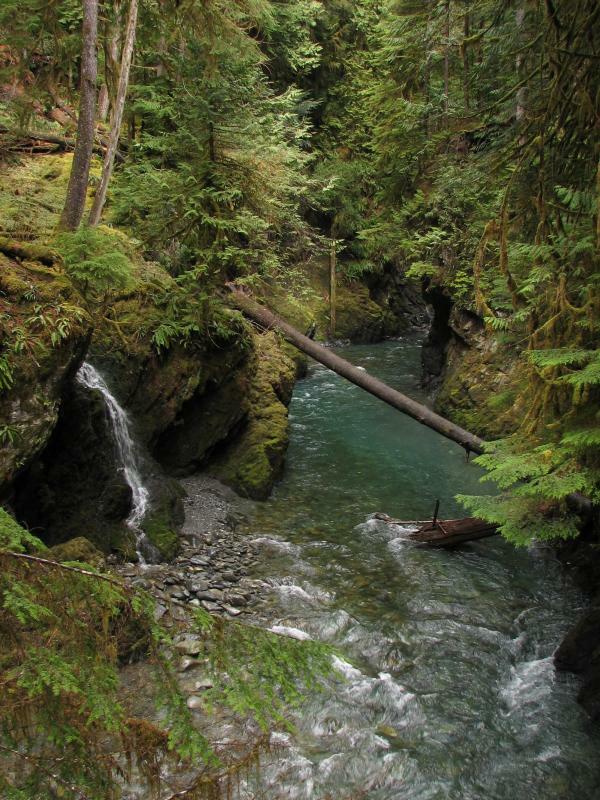 Water – lots of it – is key to their survival, which is readily observed in the dense understory that includes ferns, mosses, lichens, rhododendrons and azaleas of Redwood National Park. It is not unusual to find oneself soaked after bumping into dew-laden plants or to hear the muffled drips of condensed fog landing here and there during a visit. 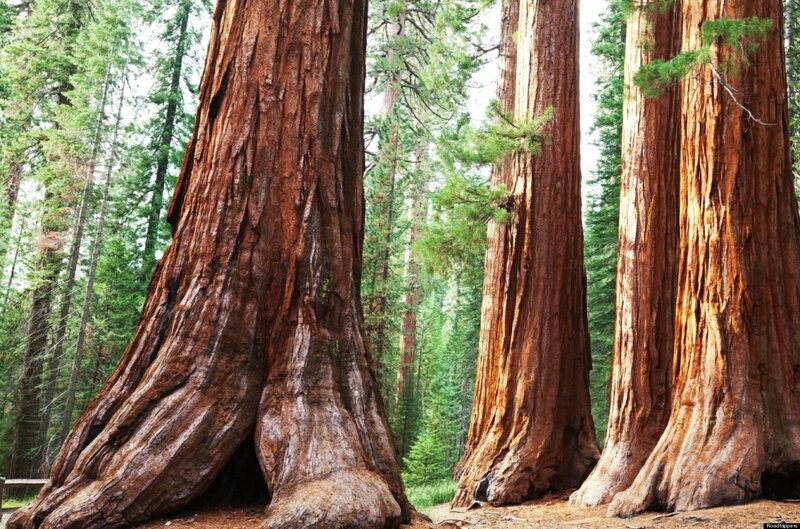 Giant sequoia can handle more arid conditions, but the groves with the largest trees are usually sitting in areas with a steady supply of surface or soil water. The scale in a sequoia forest is very hard to fathom as the 5 to 6 foot tall human gazes upward at 200’ plus pines, firs and cedars with a great, reddish-orange barked chuck of a sequoia here and there in the mix – It is obvious the sequoias are massive, but the incredible size of all of the forest trees is lost from our comparatively ant sized perspective! Then there is the wondrous fact that literally hundreds of gallons of water are rising up in the wooden columns that are the equivalent of 20 to nearly 40 story buildings all around you and being transpired into the atmosphere, as you stand in one of Nature’s most incredibly solar power harvesting and storage operations on the planet, yet not sound of straining motors can be heard… an experience that will definitely inspire the next use of ‘Thirsty Plants’ (Guide 1.0) with students. Water or lack thereof shapes the wondrous variety of habitats currently found in California National Park areas and the state as a whole, a subject that has been highlighted in recent Gazettes and the California version of cards for the activity ‘Water Address’ (Guide 1.0), but research in our National Parks can also carry one back in time. 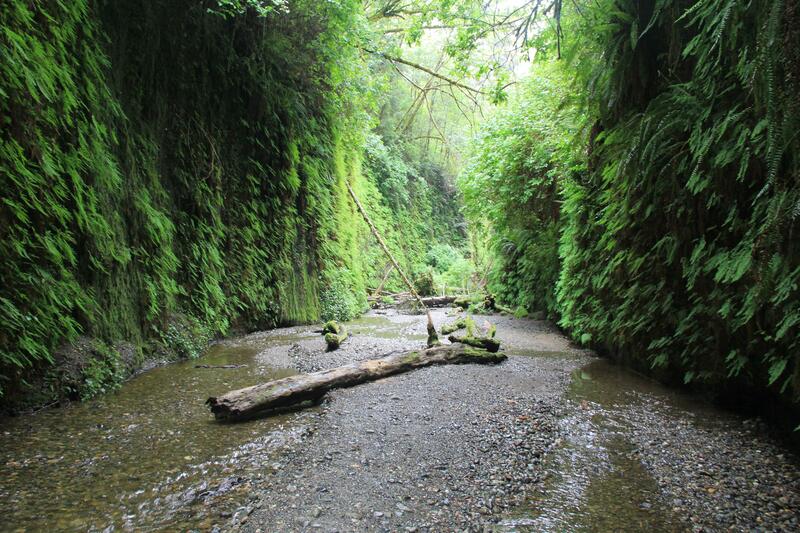 It is not hard to imagine dinosaurs hiding in the temperate rainforest of Redwood National and State Parks, especially as one walks the stream channel between the lush, green walls of the appropriately named Fern Canyon with the raucous calls, tweets and chirps of their feathered ancestors still occupying the forest. A stark contrast is looking into the vast, dry expanse of Death Valley and visualizing the evidence of large marshes and lakes in it and many nearby valleys as recently as 18,000 years ago – even with the ginormous, clearly visible alluvial fans from eons of past stream flow events indicating this most arid place in the United States has a history punctuated by water. Or contemplating the evidence that human-sized Shasta ground sloths not only roamed the Joshua tree ‘forests’ in what is now Mojave National Preserve and Joshua Tree National Park, but were also the primary seed disperser of these trees – and what may be the fate of these iconic trees in a changing climate without its primary seed disperser – or the ramifications of genetically manipulating a species dead for 13,000 years back to life. ‘Old Water’ (Guide 1.0) has students constructing a timeline to illustrate and interpret the history of water on Earth, but think of the power of such an activity if it was focused on a given place closer to home integrating the research that has been conducted on the past history of our parks! Our parks also provide a treasure trove of human drama. 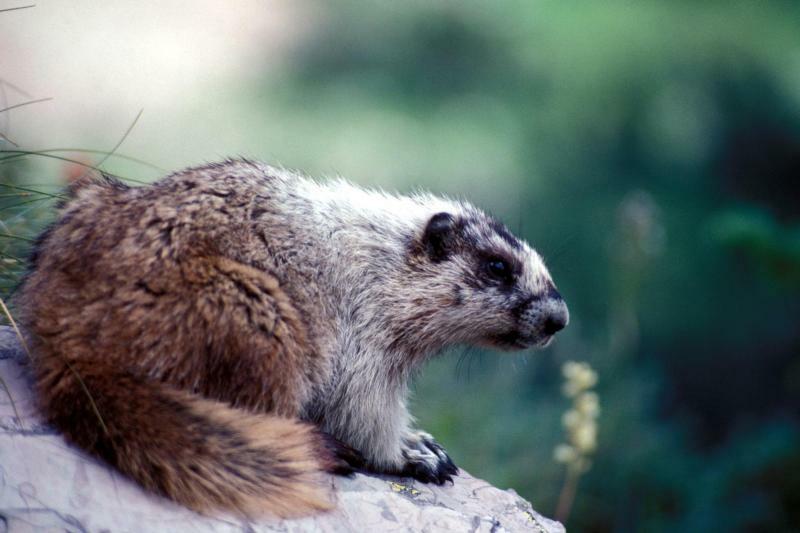 Before he died at the age of 32 near New Mexico’s Cimarron River, Jedediah Smith travelled large swaths of the American west on a quest for beaver pelts. Smith also possessed what can be described as an unusually powerful curiosity to see what was beyond the next ridge. One of Smith’s journeys twice followed the Green, Virgin, portions of the Colorado Rivers, across the desert through what is today Mojave National Preserve, over the San Bernardino Mountains into the Tulare Lake Basin, then following the San Joaquin and Sacramento Rivers north before cutting across the Klamath Mountains near present day Red Bluff to the Trinity River, following its course into what is now Redwood National and State Parks, cutting north to cross the river that bears his name today and into Oregon where most of the party died in a fight with Native Americans on the Umpqua River. Smith’s journey included the first recorded crossing what was to those of European decent the uncharted Sierra Nevada Mountains and across the Great Basin of Nevada in order to resupply at the 1827 Rendezvous near Great Salt Lake – and back across what until his arrival in California the year before the impassable Mojave Desert. He escaped death on the Umpqua and found his way to Fort Vancouver in present day Washington state. A ‘Great Water Journey’ (Guide 1.0) that also opens the door to study of relationships between American trappers, Native American tribes, Mexican California and the environment. The eternal roar and crash of ocean breakers against rocky headlands sets the contemplative tone as one stands on the San Diego Bay peninsula where Juan Rodriguez Cabrillo came ashore in 1542 leading the first European expedition to explore the west coast of North America – or where he died a year later in the Channel Islands – while pondering pre-European California through the his eyes of Cabrillo and the Native Americans already living here. Or standing on the edge of the cove in Point Reyes National Seashore where Sir Francis Drake landed in 1579 and claimed California for England. The arid silence of the Modoc Plateau and the echo of water drops in the lava tubes and caves below Lava Beds National Monument are the background sounds one hears while one considers inter-cultural tragedy known as the Modoc War that occurred within this geologic marvel in 1872-73. Dust devils kicked up by air flowing off stark backdrop of the Eastern Sierra Nevada and the dried remnants of gardens and ponds built by the more than 110,000 men, women, and children of Japanese descent detained here by the United States government during World War ll gives visitors much to consider at the Manzanar National Historic Site. In stark contrast, the hum of human transportation systems often drowns out all but the squawking cacophony of sea birds around San Francisco Bay as one explores the sprawling complex of the Golden Gate National Recreation Area – an appropriate backdrop of industrial sounds for a park area that celebrates Rosie the Riveter and the role of women in WWll Home Front National Historical Park. Of course, few places rival the roar of waterfalls cascading into Yosemite Valley, Muir’s glacier carved cathedral of granite and forest lulling one who can momentarily escape the mass of summer visitors to contemplate our relationships with other lifeforms and the environment. Past points in time leading one to ponder what has since come to pass and what may be the future to come on so many levels, which may lend some very creative twists to an activity such as ‘Water Inspirations’ (p: 535). The roar of Yosemite’s waterfalls and the flow of water from the valley also bring to mind thoughts of how to harness that water and power, as it did during the California Gold Rush – Engineering concepts that are the focus of the Project WET activities ‘Energetic Water’ (Guide 1.0) and ‘wAteR in moTion’ (Guide 1.0). One can walk the now dry Gold Rush era mining ditches snaking throughout the Whiskeytown National Recreation Area and view the giant penstocks carrying Trinity River water over the Klamath Mountains into the namesake dam and lake at the center of Whiskeytown National Recreation Area, built in the 1960’s to supplement water flows within the Central Valley Project. Located in the Owens Valley, Manzanar delves into a local history of relocations based on water rights prior to the Japanese internment – Paiute tribes to miners to orchardists to the City of Los Angeles all have lain past claims to the right to use the waters of the Owens Valley. It was a fight over a proposal to harness the water and power of the Tuolumne River that fully opened the rift between the philosophies embodied at the time by the sustained yield conservationism of U.S. Chief Forester Gifford Pinchot, the forward thinking progressivism of President Theodore Roosevelt and the ‘let Nature take its course’ preservation viewpoint of Naturalist John Muir – a rift that continues to this day that provides great material for use with the Project WET activity ‘Perspectives’ (Guide 1.0). Muir died a year after the decision to dam Hetch-Hetchy was passed, but it catalyzed a national movement to create a new agency in 1916 dedicated to preserving places like Yosemite, Lassen and the Channel Islands – the National Park Service. I hope this article may spark some travel ideas for those who have had enough and need to break the chains of connectivity and just get away – or for those who aren’t able to get away, a chance to wonder about these places while exploring them virtually for a potential future visit. Please visit the ‘Websites of Interest’ below for ideas on a few other National Park sites in California and the western United States and a number of potential ‘Events’ to enjoy over the summer. Summer is a good time to join some great trainings and you’ll find a full list of upcoming Project WET workshops in the ‘Professional Development Opportunities’ listed in this Gazette and on this website. Finally, I couldn’t wish you a better summer than closing with the advice from John Muir. Within the system are lakes and reservoirs, coastal beaches, historic homes, Spanish era adobe buildings, lighthouses, ghost towns, museums, visitor centers, conference centers, and off-highway vehicle recreation areas. 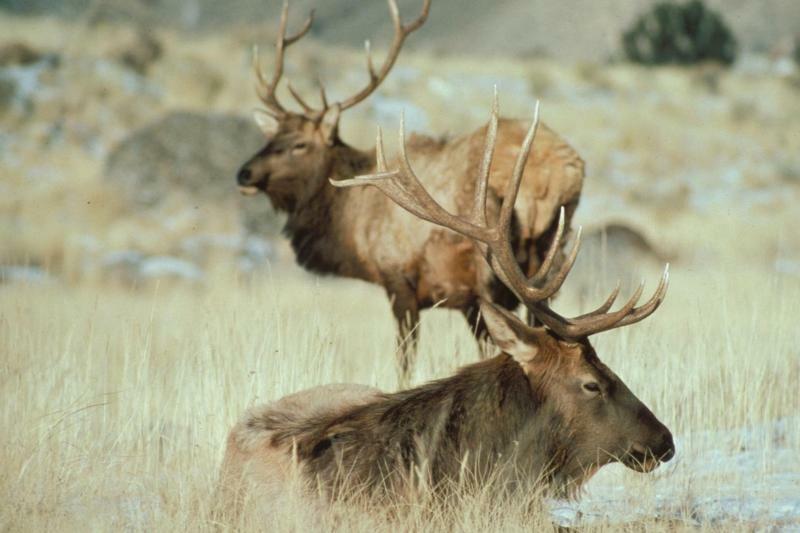 California State Parks protect and preserve an unparalleled collection of environmentally sensitive habitats, threatened plant and animal species, ancient Native American sites, historic structures and artifacts… the best of California’s natural and cultural history! 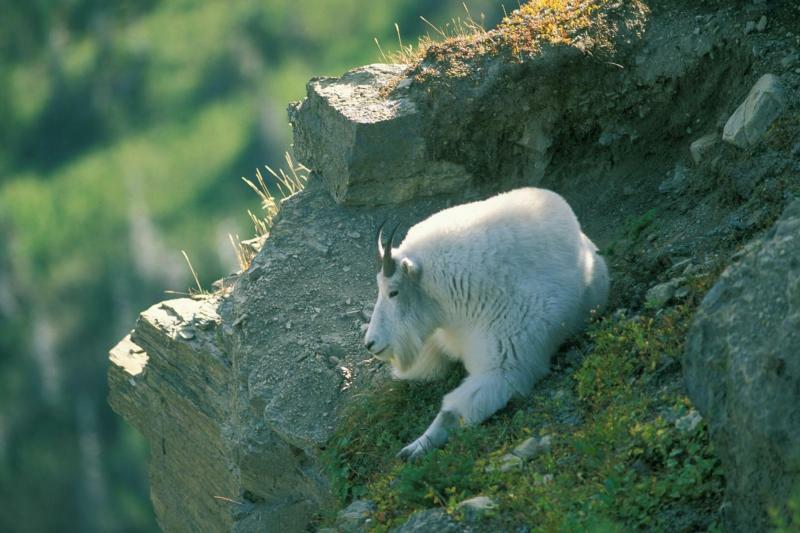 Great Basin National Park offers the experiences of desert solitude, the smell of sagebrush after a thunderstorm, the darkest of night skies and the beauty of Lehman Caves. In the shadow of 13,063-foot Wheeler Peak, 5,000 year old bristlecone pine trees grow on rocky glacial moraines and a camp ground that has the grandeur of an inverted Yosemite Valley. 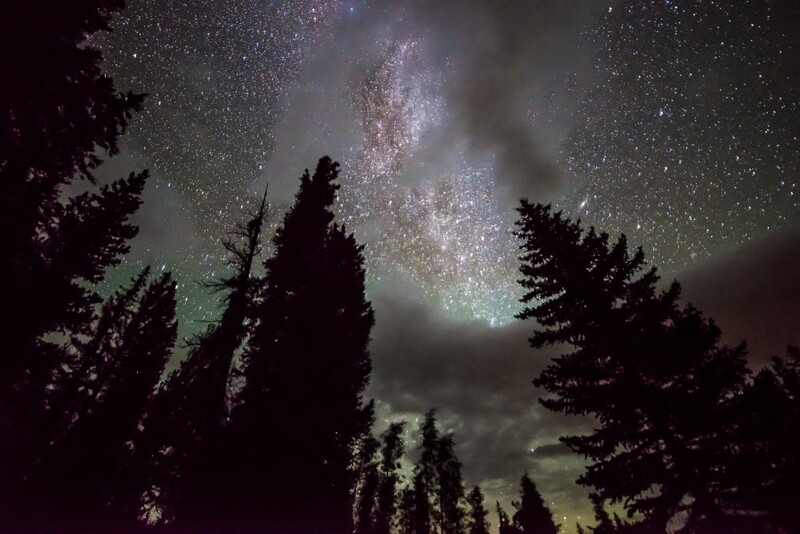 Stargazers enjoy the best visibility of the Milky Way in the Continental United States. 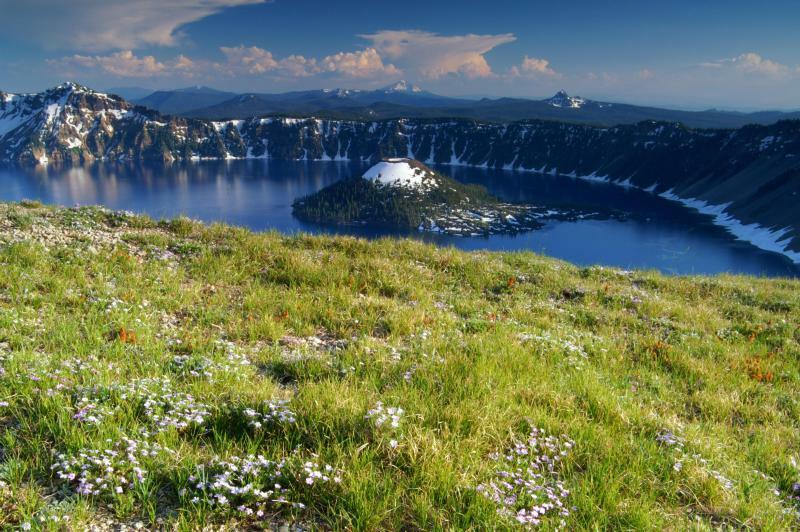 Crater Lake inspires awe. 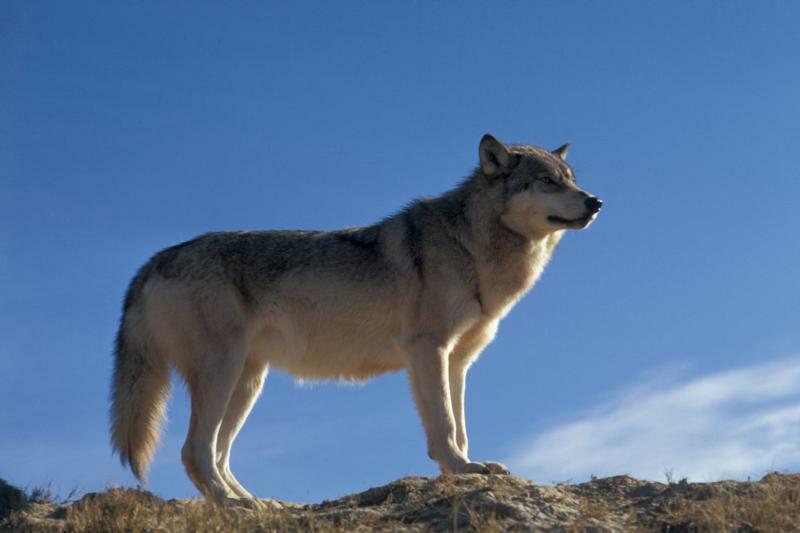 Native Americans witnessed it form 7,700 years ago, when a violent eruption triggered the collapse of a towering volcano. 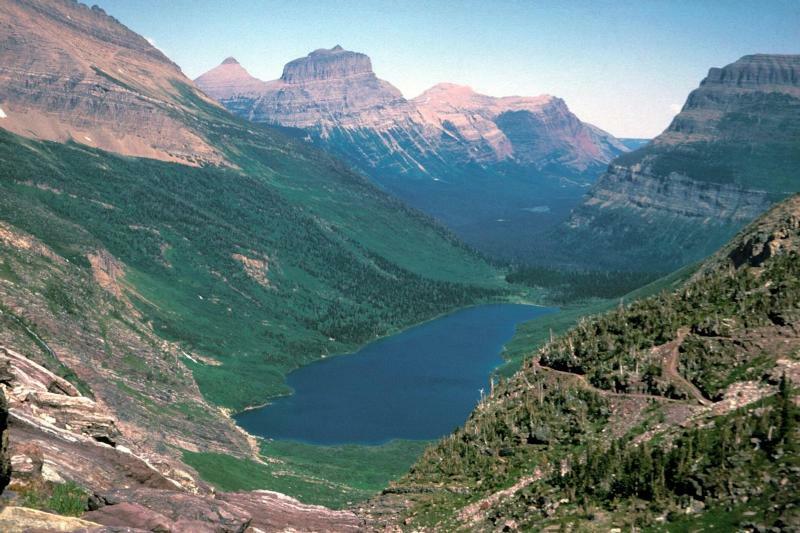 Scientists marvel at its purity - fed by rain and snow, it’s the deepest lake in the United States and perhaps the most pristine on earth. Artists, tourists and photographers alike stand in wonder at its blue water and stunning setting. 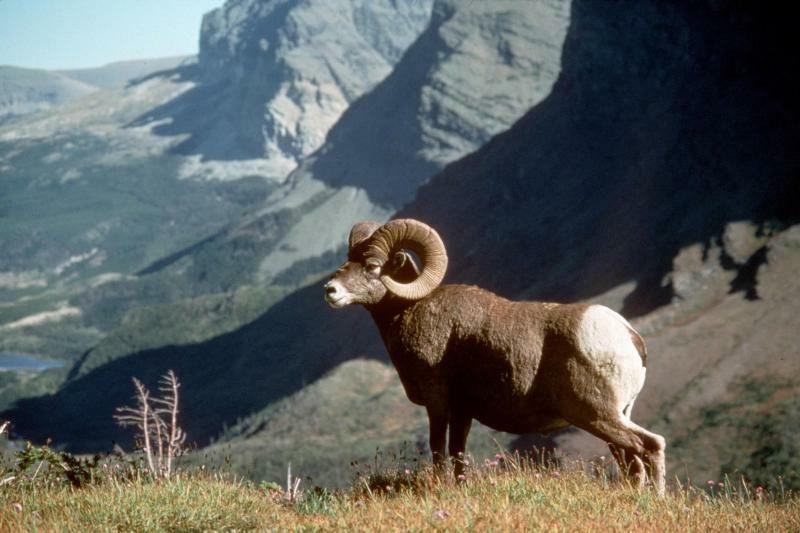 Welcome to the Cenozoic, the Age of Mammals… Preserved within the assemblages of the John Day Basin is a fossil record that spans over 40 million years. If each time period recorded here is a page in a book, the National Monument holds an entire chapter of Earth’s history which tells the story of changing life and landscapes. Exhibits, a working lab, scenic drives and hikes visitors to explore the prehistoric past and see science in action. Once the headquarters of a 10 million acre cattle empire, Grant-Kohrs Ranch National Historic Site preserves these symbols and commemorates the role of cattlemen in American history. In addition to cattle on the prairie, one can view massive Belgian draft horses working the land with farming tools of the 19th Century and bring the fascinating history to life of Johnny Grant and Conrad Kohrs - the two different owners of the ranch that bears their names. This area memorializes the U.S. Army’s 7th Cavalry and the Cheyenne and Lakota people involved in one of the last armed efforts to preserve the native American way of life. On June 25 and 26 of 1876, Lt. Col. George A. Custer and 263 soldiers died fighting several thousand Lakota and Cheyenne warriors here near the banks of the Little Bighorn (Greasy Grass) River. The bones of chalicotheres, rhinoceroses, entelodonts, beardogs, camels, horses, land beavers and pocket gophers are preserved in one of the world’s most significant Miocene Epoch mammal sites. Yet, an even more surprising find at Agate are Native American artifacts the Cook family received in the late 1800s – including a painted hide showing the Custer battle scene from the Lakota perspective and personal items once belonging to Crazy Horse - from family friends like Red Cloud, Chief of the Oglala Lakota. 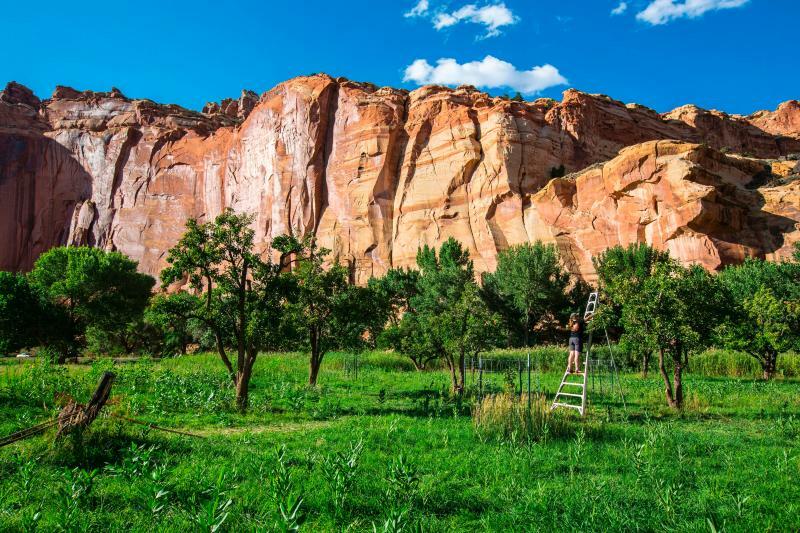 Capitol Reef National Park is a hidden treasure filled with cliffs, canyons, domes and bridges in the Waterpocket Fold, a geologic monocline (a wrinkle on the earth) extending almost 100 miles. 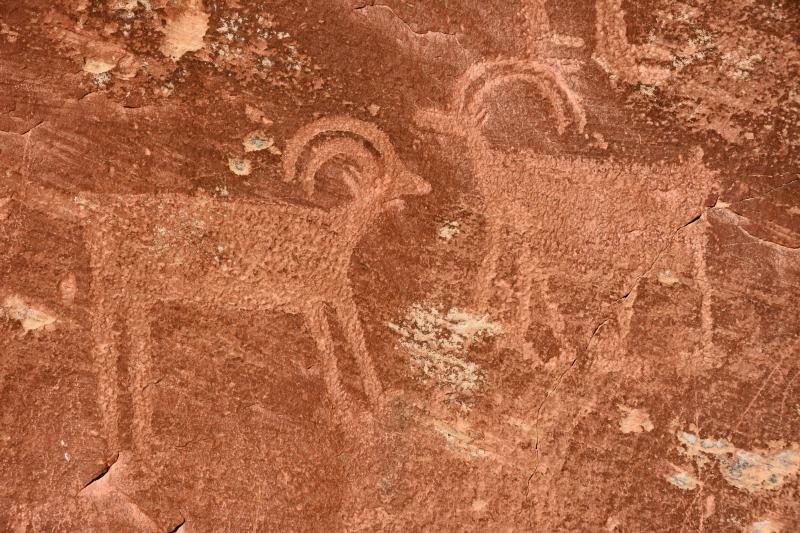 The area was also a homeland to the people for thousands of years, including the Fremont culture and one will find pictographs and petroglyphs on rock walls in the area. Mormon pioneers arrived in the 1800s, settling in what is now the Fruita Rural Historic District. Untamed rivers flow from glacier-capped peaks through valleys of old-growth forests, waves crash against a shoreline rich with life, and only trails traverse the vast interior of this internationally recognized wilderness overlooking the Juan de Fuca Strait and the southern end of Canada’s Vancouver Island. 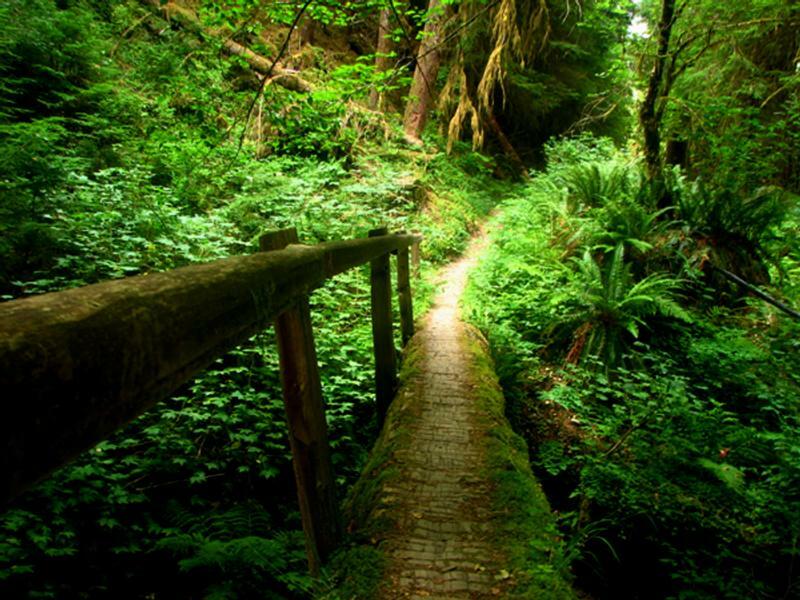 One can definitely see the results an average precipitation of 12 to 14 feet in the Hoh Rainforest – and how vampires and werewolves could hide in the ‘twilight’ world of dense vegetation on this Washington state peninsula! 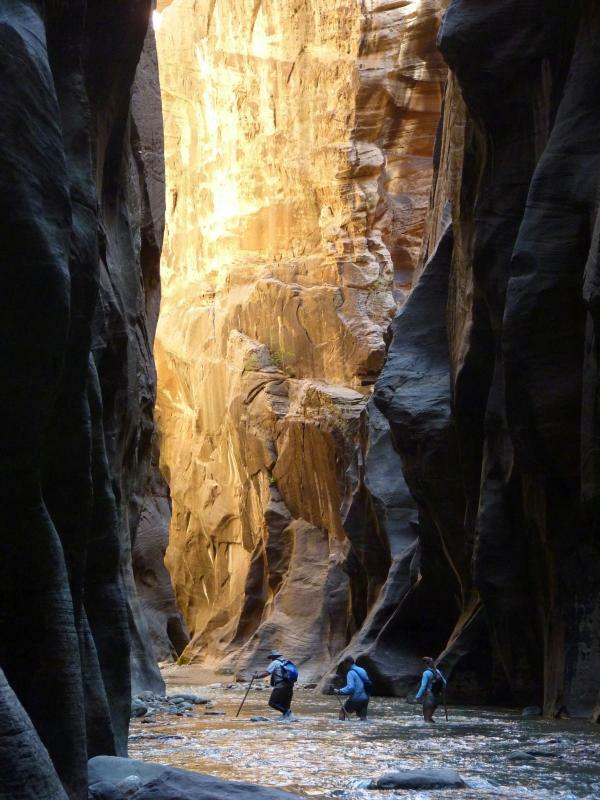 Follow the paths and a narrow slot canyon along the Virgin River and imagine oneself in a past time where ancient native people and pioneers walked, as you gaze upward as they once did at the massive sandstone cliffs of cream, pink, and red that soar into a brilliant blue sky. 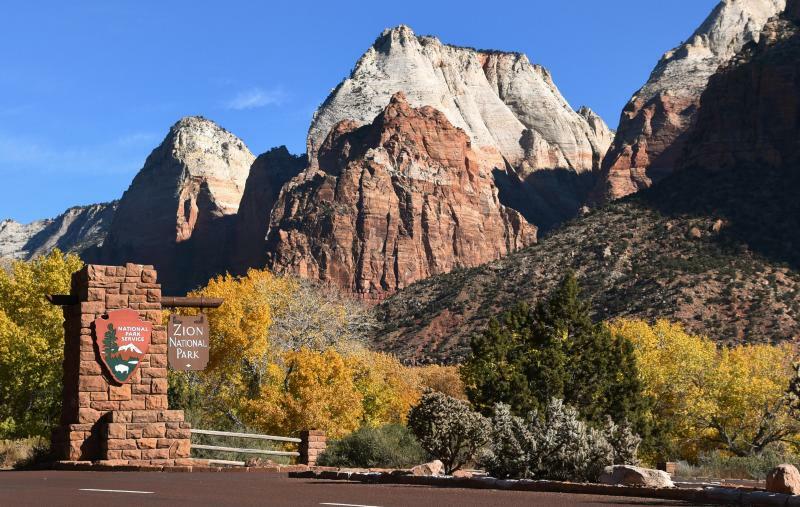 Zion’s unique array of geology is enchanting whether one sticks to the roadways or hikes into the Zion Wilderness. 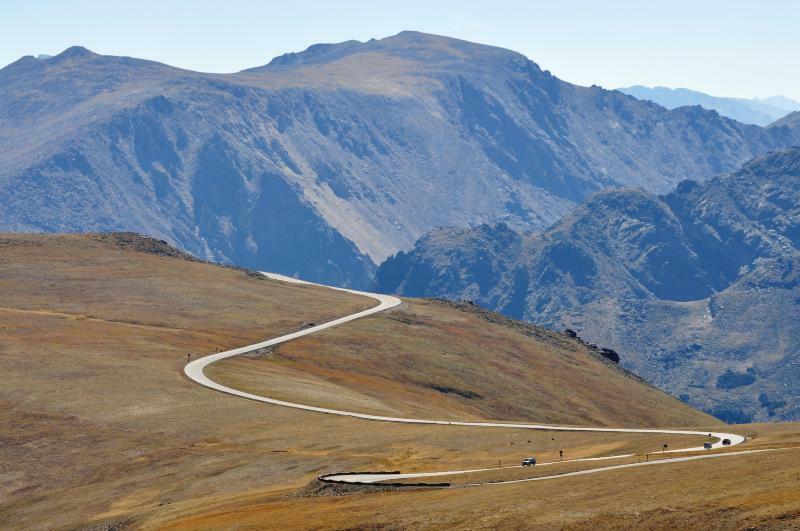 One can enjoy Trail Ridge Road, which crests out at over 12,000 feet and includes marvelous overlooks of the park’s, while learning and experiencing the subalpine and alpine worlds in this park. 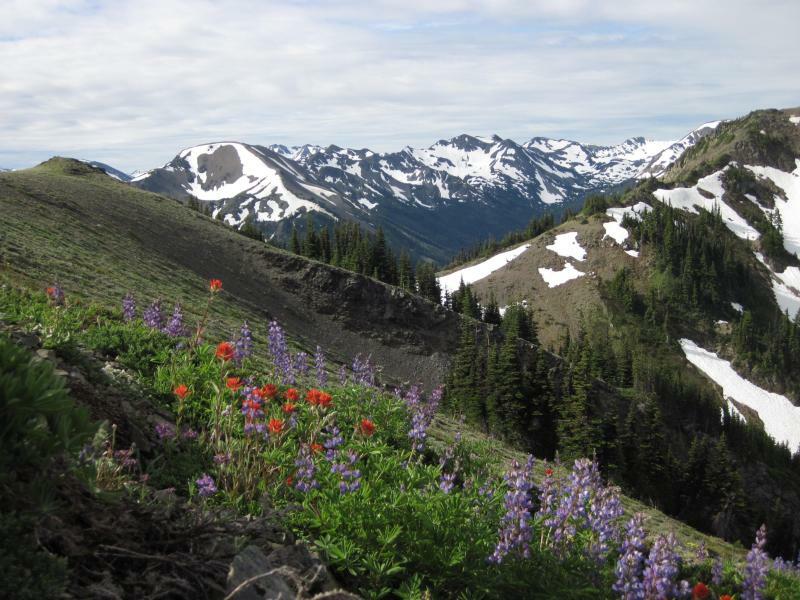 Or experience the wildflowers, wildlife and starry nights of these worlds while hiking some of the more than 300 miles of trails - including those in the Never Summer Wilderness where hardier souls with backpacks and escape the heat of summer. The tallest dunes in North America are the last thing one would expect to find tucked inside the Sangre de Cristo Range of the southern Rocky Mountains – and are the surreal centerpiece of a landscape of grasslands, wetlands, conifer and aspen forests, alpine lakes and tundra. A great place to learn about the unique interaction of wind and water erosion, transport and deposition that create these dunes. Mesa Verde, Spanish for green table, offers a spectacular look into the lives of the Ancestral Pueblo people who made it their home for over 700 years, from AD 600 to 1300. Today the park protects nearly 5,000 known archeological sites, including 600 cliff dwellings that are some of the most notable and best preserved in the United States. Join the Department of Water Resources (DWR) Climate Change Team and Project WET this Fall in San Jose or Visalia learning about the basics of climate science, how DWR is addressing climate change impacts on California’s water supply and how the interdisciplinary activities of Project WET can help you integrate climate science knowledge and skills at the heart of Common Core and Next Generation Science Standards in the classroom! The waterways and watershed of the Sacramento – San Joaquin Delta serve as the backdrop for these summer institutes, which are focused on providing a deeper understanding of the ecosystem services provided by floodplain ecosystems in the Central Valley. You’ll walk away with greater knowledge on a variety of current floodplain issues, Common Core & Next Generation Science Standards linkages and a tool bag of valuable resources. College credit and a $200 stipend are also available – and space is limited! 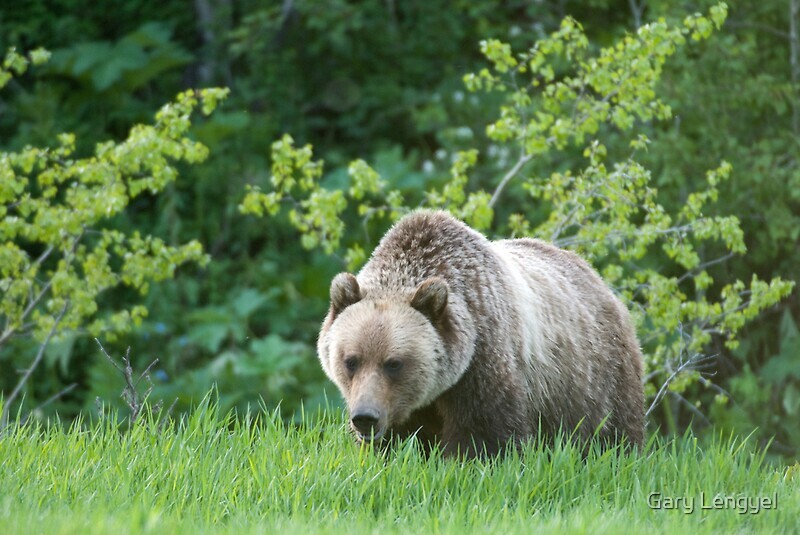 The California Institute for Biodiversity will host this great summer institute for two weekends in June, the 17-19 and the 24-26, 2016, at Green Meadows Outdoor School in Fishcamp. The institute will focus on connecting the Blueprint for Environmental Literacy and the new Science Standards to K-12 teaching practices, while investigating the Crosscutting Concepts of Patterns and Scale, Proportion and Quantity within and across California habitats. Explore the amazing animals of Monterey Bay’s marine ecosystems firsthand for sessions tailored for 3rd through 5th grade teachers this June 20-24, 2016! You’ll conduct your own field investigations, learn to implement science notebooks and experience how authentic science writing can improve your students’ science literacy. With a focus on systems, you’ll learn how you can integrate process skills, science and engineering practices and technology to get your students excited about protecting the world’s oceans. Project Learning Tree is the tool and your schoolyard is the place this June 21-23, 2016! Come participate in hands-on activities to involve students in creating wildlife habitat in your schoolyard and to learn how to use PLT activities in a schoolyard to inspire place based learning and stewardship. Join us for two days at beautiful Soil Born Farms exploring their youth gardens and American River watershed habitat garden. High School Teachers! Join us July 5-10, 2016 to examine the role humans have played in the stability and change of Monterey Bay. You’ll explore both our vibrant, local environment through field investigations and ways to make conservation issues and action relevant to students through development of a sense of place. Topics may include climate change; physics, chemistry and biology of the kelp forest; plastic pollution; and sustainable seafood. Join the Pacific Grove Museum of Natural History and the Monterey Peninsula Regional Park District in the Carmel Valley this July 6-8 for a three-day workshop that incorporates Project WET, Project WILD and Project Learning Tree national curricula with Common Core and Next Generation Science Standards. Continuing Educational Units are available through CSU Monterey Bay for an additional fee. Please contact Todd Weston if you have questions at (831) 648-5716 x 11. Free training for Los Angeles County teachers, administrators and coordinators serving grades 7 – 12 learning what environmental service-learning is an how to use it to implement a green project on your campus or in your community. Access tools and resources including personalize support, mini-grants, toolkits, and a free bus for a project-related field trip. Please contact Loyda Ramos at TreePeople if you have questions. During this three-day July 25-27 series, PK-8 educator participants will get hands-on, minds-on as they engage in deep dives into a STEM area of their choice. Participants will learn from local experts and share their best practices with each other in a collaborative environment geared at enhancing learning in all PK-8 classrooms. There is a $100 registration fee to attend summer camp. Presented by Generation Earth, secondary (7-12) school teachers will learn how to create campus Environmental Service Learning projects with their students, while addressing Common Core and Next Generation Science Standards. Teachers receive free resources and materials incluing a free bus for a project related field trip. Light breakfast and lunch included both days. Please contact Loyda Ramos at TreePeople if you have questions. The goals of the California Invasive Species Action Week (CISAW) are to increase public awareness of invasive species issues and promote public participation in the fight against California’s invasive species and their impacts on our natural resources. Help us celebrate by volunteering to take action to help stop the spread of invasive species, Find an event near you by visiting our list of 2016 Schedule of Events! Join us at the Pali Mountain Retreat & Conference Center in Running Springs, in the beautiful San Bernardino Mountains for a variety of advanced trainings and field trips to hone your naturalist skills and observe and explore the area’s unique ecology. We will share information and ideas with experts from our California Naturalists and from UC and other science institutions. Please click here for more information and to register. Our beaches are collecting spots for trash from city streets and highways. Trash travels – via inland waterways, storm drains, sewers, and on the wind, and eventually ends up on the coast. California Coastal Cleanup Day is the State’s largest annual volunteer event and annually removes vast amounts of plastic debris and other litter before it can enter the world’s oceans. COASTWEEKS is an annual celebration of our coastal and water resources. We encourage events from throughout the state, not just along the coast. This celebration is a great way to expand your outreach and to participate in a nation-wide effort to encourage appreciation and preservation of our coast and inland waterways. Please e-mail us if you have an event that should be included in the COASTWEEKS calendar. Follow your food from farm to fork in Sacramento - America’s Farm-to-Fork Capital! Learn new ways to incorporate agriculture into everyday curriculum. Enjoy field trips to exciting destinations, exhibits packed with valuable standards-aligned resources, innovative presentations, hands-on workshops, inspiring guest speakers and fantastic networking. Register today to be a part of the experience! National Public Lands Day (NPLD) is the nation’s largest, single-day volunteer event for public lands in the United States. NPLD educates Americans about critical environmental and natural resource issues and the need for shared stewardship of these valued, irreplaceable lands, while building partnerships between the public sector and the local community to enhance and restore America’s public lands. Click here for more information! 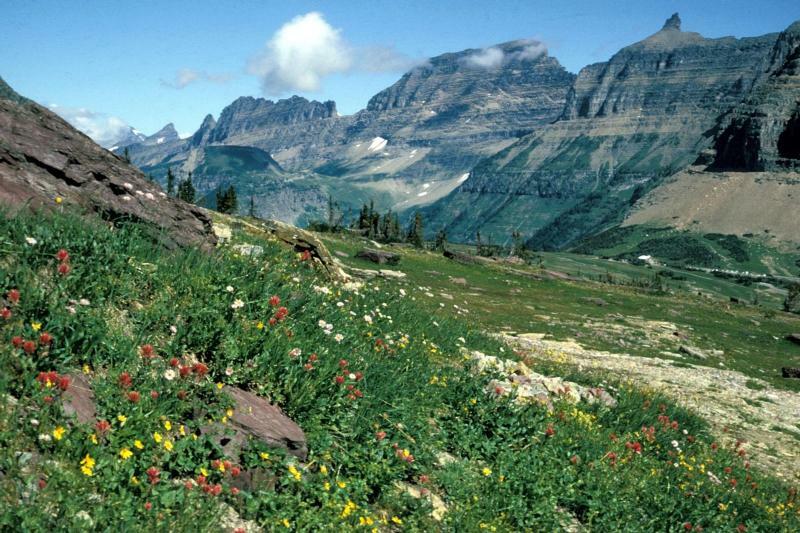 Celebrate National Public Lands Day with free entrance to a local National Park! Fee waiver includes: entrance fees, commercial tour fees, and transportation entrance fees. Other fees such as reservation, camping, tours, concession and fees collected by third parties are not included unless stated otherwise. Learn about discounts and special offers from park partners and neighboring businesses. “Our Shared Geoheritage” is the theme of Earth Science Week 2016. which promotes public understanding and stewardship in many areas, including Earth science, energy, paleontology, water quality, conservation, and climate science. Geoheritage is the collection of natural wonders, landforms, and resources that have formed over eons and come to this generation to manage, use and conserve. Take part in Earth Science Week 2016! No other event will bring together this many California science educators in one location that is large enough to offer the diversity of programming our educators need, but also small enough to create an environment that allows for connections to be made, inspirations to be had, and moments to be shared. Over 150 workshops to choose from for those who register today! The Schoolyard Habitat Program helps teachers and students create wildlife habitat at their own schools. 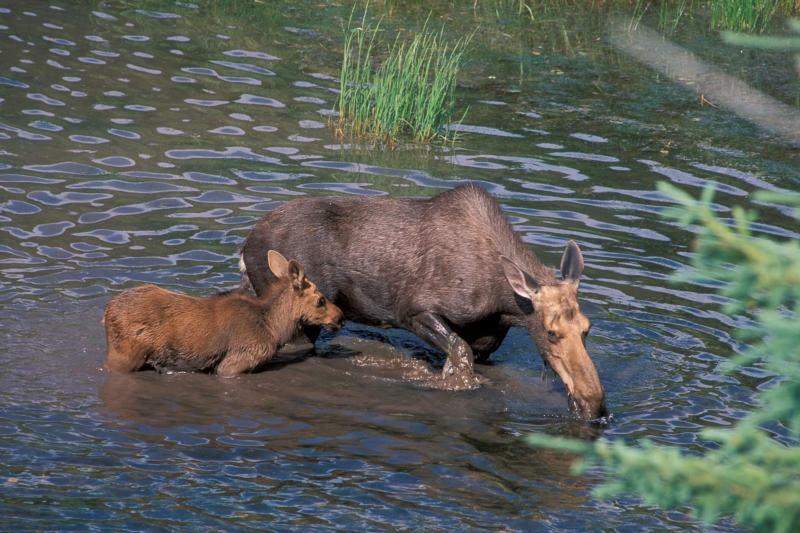 Typical Schoolyard Habitat projects include: wetlands, meadows, forests and variations based on specific eco-regions. We work with your school to provide technical and organizational assistance to schools, so they can create outdoor classrooms that are effective as educational tools as well as sustainable habitat. Toshiba America Foundation accepts applications from teachers who are passionate about making science and mathematics more engaging for their students. Grade 6-12 Grant requests for $5,000 or less are accepted on a rolling basis throughout the calendar year. Grant requests for $5,000 or more are accepted and reviewed twice per year – August 1st is the next deadline for these requests. We only accept on-line applications through the designated links above. Applications must be for project based learning. We do not consider requests solely for computers. Some of the best learning opportunities happen outside the classroom, but tt’s become increasingly difficult for schools to fund learning opportunities outside the classroom. Target stores award Field Trip Grants to K-12 schools nationwide. Each grant is valued up to $700. We accept grant applications between noon CST Aug. 1 and noon CST Oct. 1. K-5 grade teachers are invited to apply on-line for a $1,000 Toshiba America Foundation grant to help bring an innovative hands-on project into their own classroom. With a Toshiba America Foundation grant, elementary teachers can bring their new teaching ideas to life. We only accept on-line applications and applications must be for project based learning. We do not consider requests solely for computers. “Our Heritage in Earth Systems” is our 2016 photography contest, open to interested persons of any age. Entries must be composed of original, authentic, unpublished material and must be the sole property of the entrant, not previously submitted to any other contest. Published material includes that which has been posted on the internet. This includes, but is not limited to any social network website where photos have been posted and shared. “Seeing Earth Heritage” is this year’s visual arts contest, open to students in grades K-5. 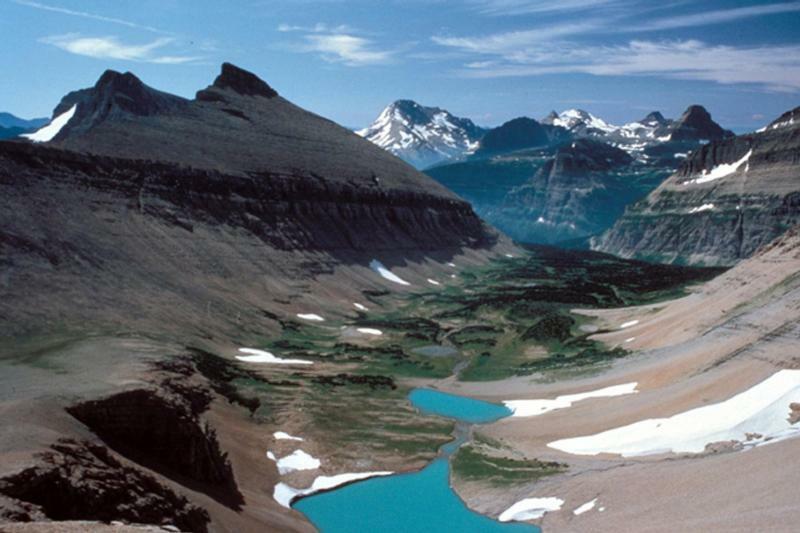 Earth science is the study of our planet’s land, water, air, and living things. These systems have been affecting each other for billions of years, as in the way wind has shaped the landscape or the way falling rain has nourished plants. Our natural heritage is the evidence of these past processes that we see today, such as the shapes of mountains, seashores, and forests formed over many years. “Sharing and Caring for Our Geoheritage” is the 2016 ESW essay contest open to students in grades 6-9. Our “geoheritage” is the collection of natural wonders, landforms, and resources that have formed over eons and come to this generation to manage, use and conserve effectively. Whether a natural arch, geyser, or other evidence of our planet’s spectacular past, examples of geoheritage are in many ways unique and irreplaceable. Geoscientists play an important role in identifying, evaluating, and prioritizing geoheritage sites. Through the annual Get to Know Contest, we work to ensure that young people are provided with opportunities to spend more time out of doors. The contest runs from May 1st to November 1st and invites participants to get outside and create original works of art, writing, photography, videography and music inspired by nature. Get started today!